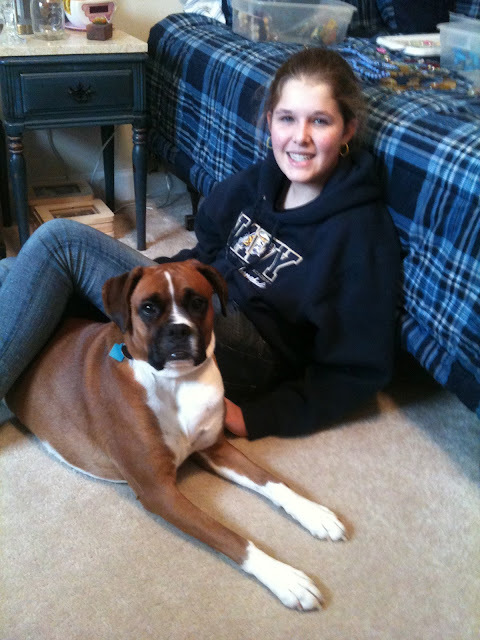 If you know our family, you know it's no secret that our favorite breed of dog is the Boxer. I have a board on my Pinterest dedicated to their silly antics and sweet faces. Boxers have personality to spare which is one of the reasons I love them. Oh my yes, I too love Boxers. We took on our sons older one and had him a couple years before he passed on. We were around him his whole life though and he was a character. He snored so loud but now that is what we miss the most! Every time I see a boxer I just want to hug them. They really steal your heart!